At our Hadsund slaughterhouse, we slaughter and process organic livestock. Organic raw products are produced by farmers according to the organic regulations, which pay special attention to environmental safeguard and animal welfare. When livestock leave the stables, they are treated and processed according to specific organic regulations. These regulations are to be found in the Danish Food Administration’s Organic Food Guide, ”Vejledning om økologiske fødevarer”. At slaughterhouses that both process organic and non-organic products, the slaughter and cutting operations take place at different times or in different facilities. Himmerlandskød focuses on gentle treatment of beef cattle and careful cutting, packaging and distribution of the organic meat, and all our meat derives from cattle born, raised and slaughtered in Denmark. 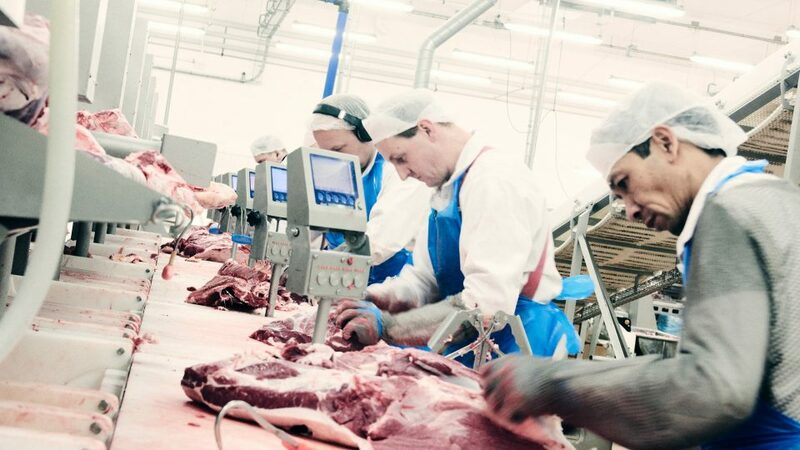 The slaughterhouse undergoes random crosschecks as well as a more comprehensive, yearly check carried out by the Regional Food Authority to verify compliance with organic rules and regulations. These checks promote consumers’ trust in organic products. Organic food does not only have to comply with organic rules and regulations. It must also fulfil the general food legislation as far as marking, processing etc. is concerned. Moreover, organic producers are obliged to comply with the general food legislation concerning authorisations, facilities and hygiene.